At 1 Stop Pack N Ship, we recognize how important your fine art is to you. Whether you’re a collector, a museum, or just appreciate art in your home, we have solutions to help you feel confident as we are shipping fine art. We take each customer’s art into our hands promising to ship it safely and securely. We are able to handle local moves (within Maryland, D.C., or Virginia) as well as shipping around the country. We strive to take on all of your fine art shipping, moving, and storage needs so you don’t have to worry. This is a role we take seriously, as we truly believe there is an “art” to shipping fine art! Our professionals are trained to take great care in the art you’re entrusting us to ship. 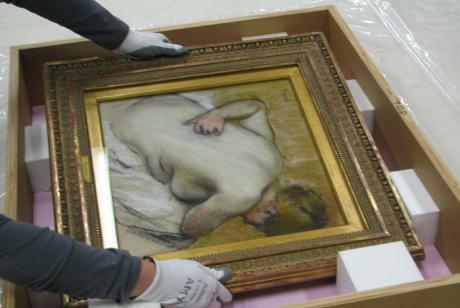 We take pride in our ability to package fine art and specialize in handling fine art, installation, shipping, crating, and storing artwork of any type. Shipping fine art requires first assessing a particular piece of art. Each piece of art will have different levels of fragility, be different sizes, and have different values. All of these factors go into how we choose to package up the item and ship it. Depending on the size of the item, we also will have to come up with a plan for transportation. Will it be shipped on a truck? Possibly a plane? We make these plans on an as-needed basis for the specific pieces of art. We know the investment you make in the art we ship, and we take care of its transport. We want to be absolutely sure that your art is transported and delivered in the same condition as when it first came to us. We communicate the entire shipping process with you so that you feel confident and secure with your art in the hands of our staff. We offer climate-controlled transport for delicate art that requires the appropriate exposure to light and humidity and the appropriate temperature to protect your art. All of our packing materials are archival quality and acid-free, meaning your precious items will be taken care of and free from harm or deterioration. On top of shipping your fine art, we also offer storage options. 1 Stop Pack N Ship has highly trained staff that are assigned to your fine art. For the entire duration of the storage and shipping process, they take your fine art into their hands to ensure it is a smooth and successful process. Our storage options keep your art safe until it is time for delivery. All of our art movers are screened, licensed, and insured. We make sure that we hire the best team so that you can entrust us with your precious art. Do you have fine art that you’re looking to ship or move? Connect with us today to come up with a plan that works for you and your fine art shipping needs. Whatever you may need, 1 Stop Pack N Ship is here for you. Contact us at 301-762-3715 to get started today! At 1 Stop Pack N Ship, we offer our customers the opportunity to ship items both near and far. We can ship small items or pack and ship your entire set of furniture. We’ve got many options for international shipping coast to coast. We give our clients the ability to internationally ship and be confident in our team of trained professionals. 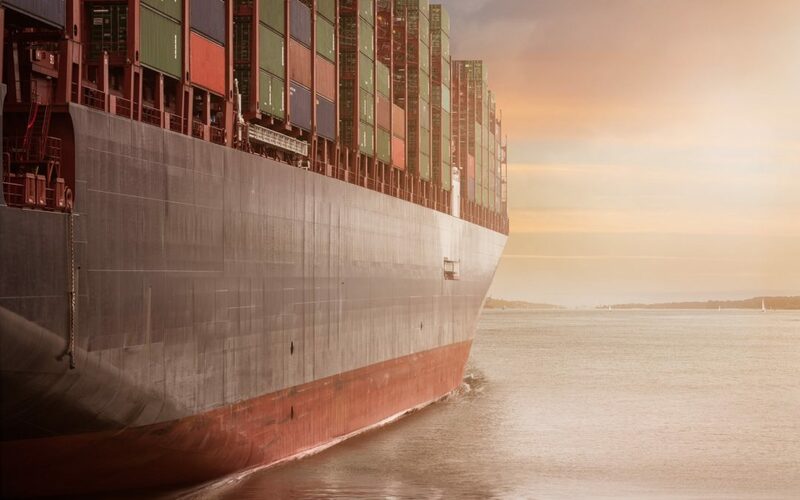 In this post, we’ll cover an overview of our international shipping services. We’ll talk about the importance of using a professional service like 1 Stop Pack N Ship. We’re here to help you in any way we can. We make sure that your shipping experience is a positive one! When you are shipping an item internationally, packing up the items to ship strategically and safely is essential. Our team handles all types of packaging. Each item we ship will be handled with complete care. We’ll work to ensure your items arrive safely to their destination. All aspects of the process are handled by our team. We work hard to prepare your items to be shipped internationally. We know the best way to get your items shipped safely when it comes to coast-to-coast shipping. Each item is evaluated on a case-by-case basis to ensure that it will get there while being protected. Our shipping services include air loading, trucking, and ocean shipping. We’ll work with you to be sure that the method that we choose is what is best for your particular items. If you are moving overseas and have belongings you want to take with you, we are here to help! No matter how many items you want to ship, we’ll work to come up with a plan that works for you. We arrive at your home and help you pack and load all of your belongings. We utilize an overseas freight container to make sure that your items are shipped and arrive safely at your door overseas. If you’re nervous about shipping items overseas, we get it. We offer the ability to fully insure fragile and high-value shipments! Why 1 Stop Pack N Ship? You may be tempted to try and ship items overseas yourself If you’re someone who likes to do things hands-on. However, there are many challenges that come along with international shipping. Professionals should handle international shipping. We are able to pack each item properly so that it does not become susceptible to damage. Items are labeled appropriately so they do not become lost in shipment. We take care of the proper documentation depending on the country you are trying to ship to. We treat each of our clients with the utmost care and respect. Our clients come first. We understand the importance of working within your specific budget so that the shipping plan works for your specific needs. There is no coast to coast shipping need too large or too small. We’d be more than happy to assist in any way we can. Our goal is your satisfaction. To contact us to discuss our international shipping capabilities, you can reach us by phone at 301-762-3715 or by email at info@1stoppacknship.com. We look forward to hearing from you and working together to provide all of your international shipping needs!